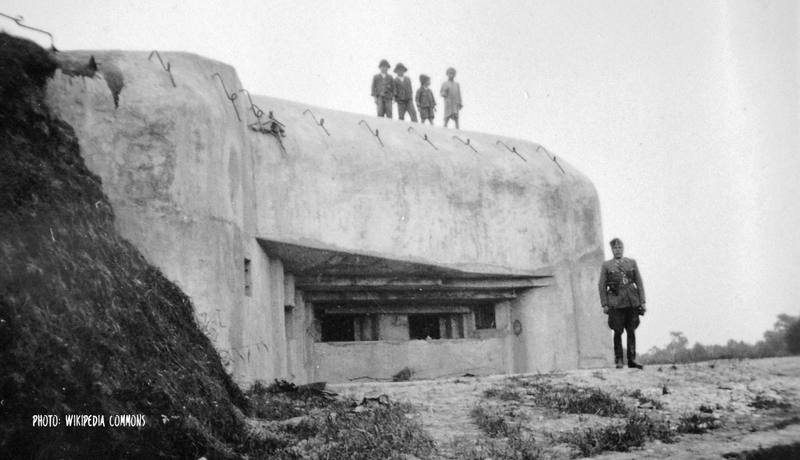 After the first World War, and already anticipating the arrival of the next large scale conflict, several European countries began to build fortified lines near their state borders. 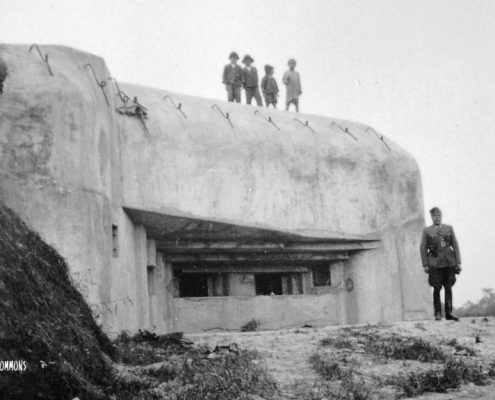 Romania was no exception and the construction of bunkers of the Carol line began in 1937, with a budget, at that time, of 36 million Romanian lei. 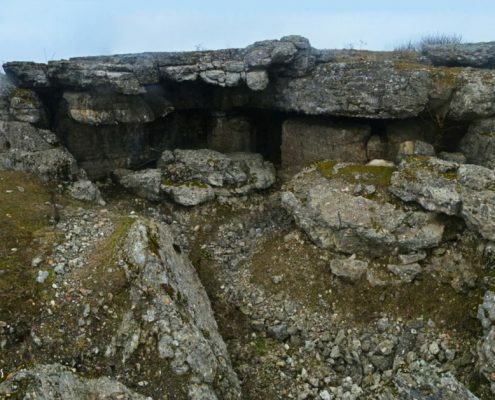 The 340 bunkers were positioned between Otomani and Apateu (Bihor county) in the Crişana area, and near Seini (Maramureş county), in the Someș valley. 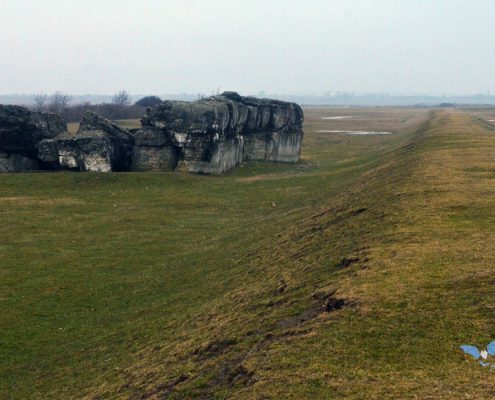 Works were completed in 1940. 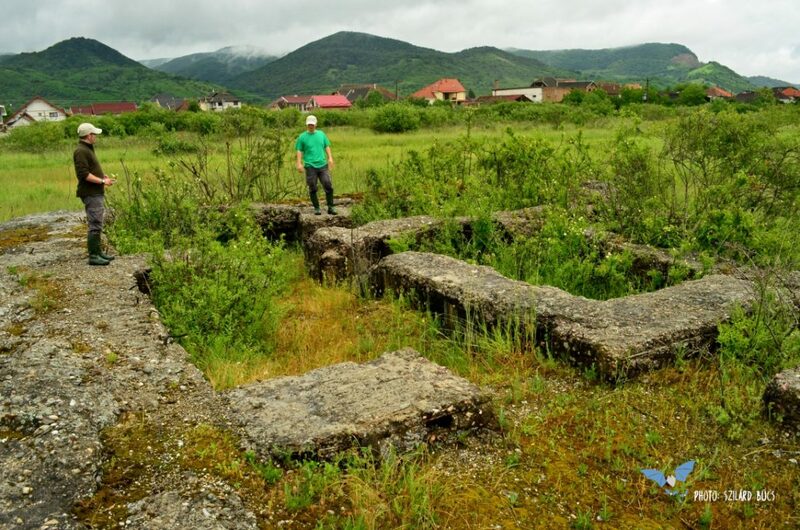 The irony of this situation is that still in 1940, after the Second Vienna Award, Romania ceded Northern Transylvania to Hungary, together with the bunker line, without any bullet or shell being fired by parties. 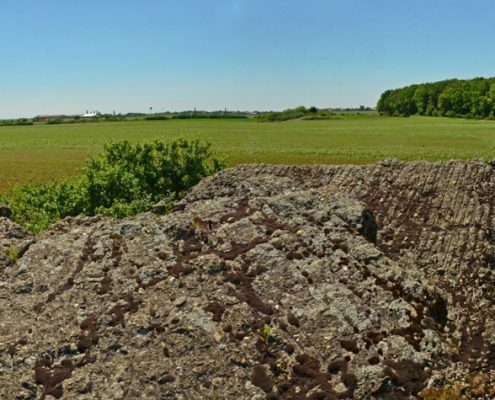 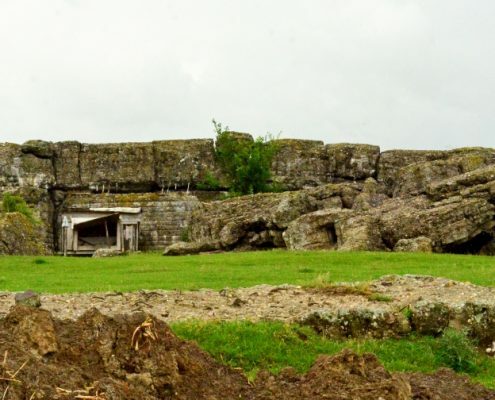 The Romanian state has sought and received approval from Hungary to disarm the fortified line and to save all elements and items that were considered important or valuable. 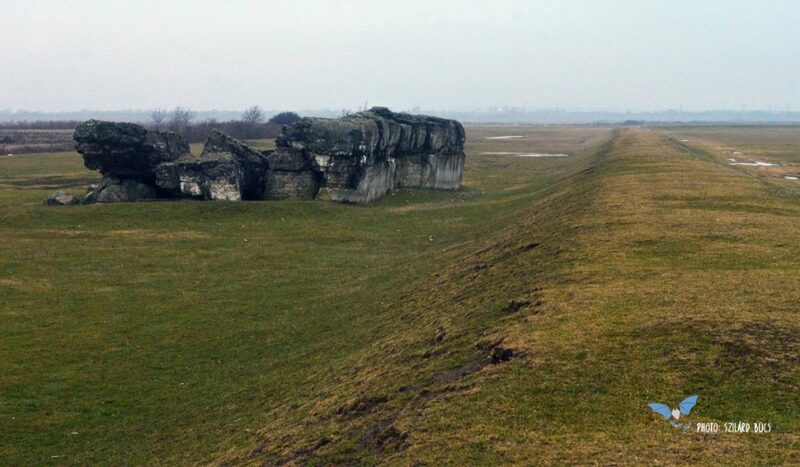 After this period the Hungarian state completed the dismantling of bunkers and detonated them in 1941 to prevent future use during wartime. 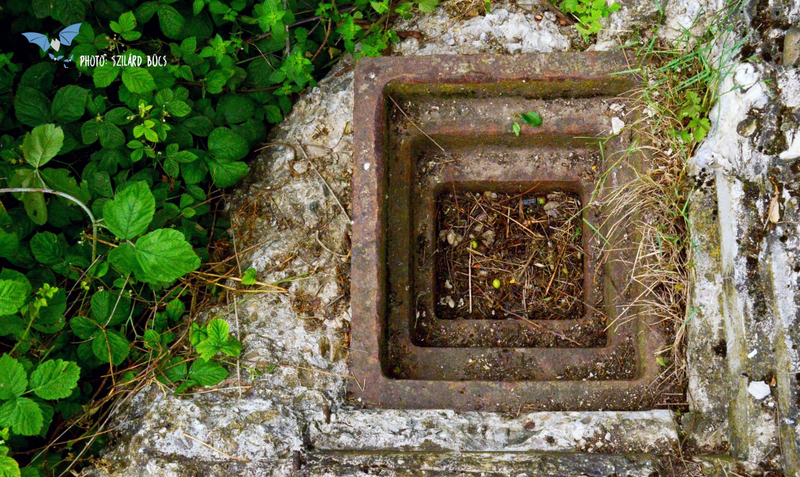 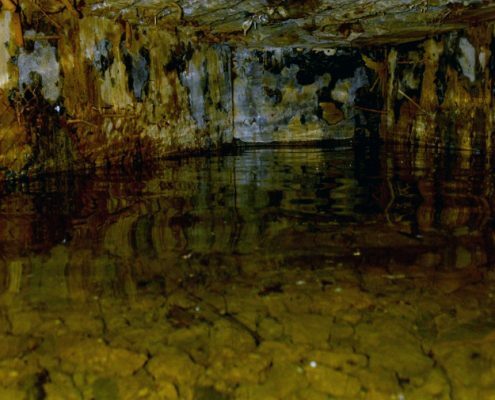 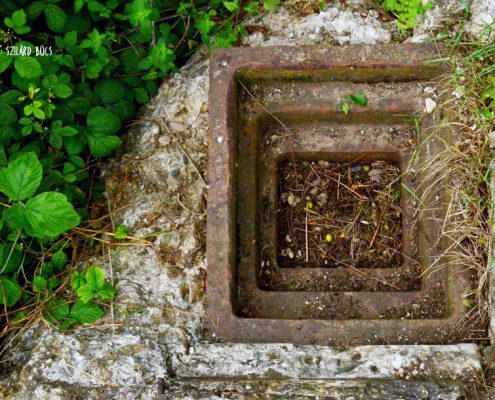 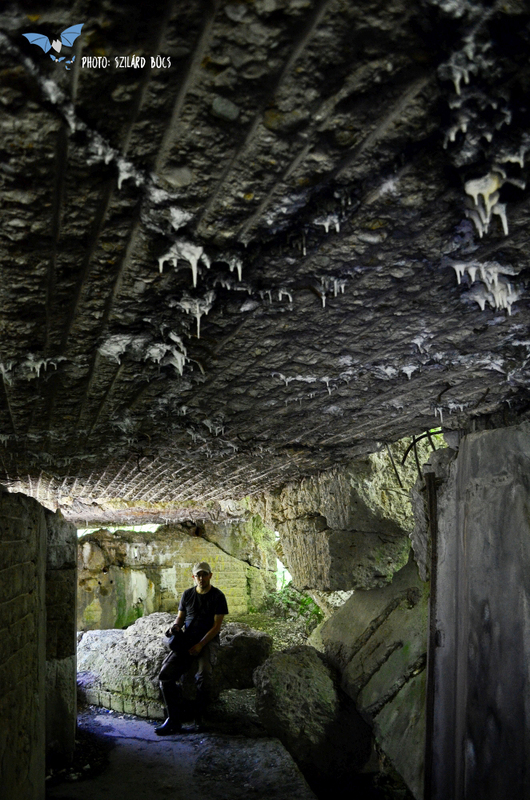 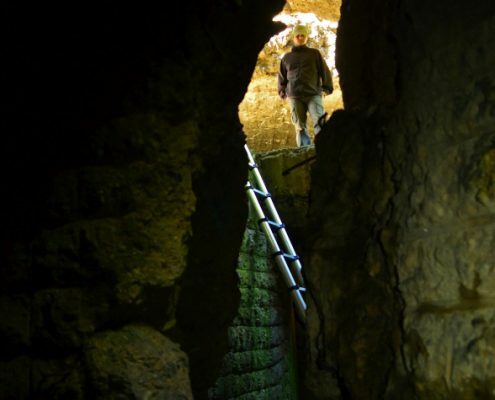 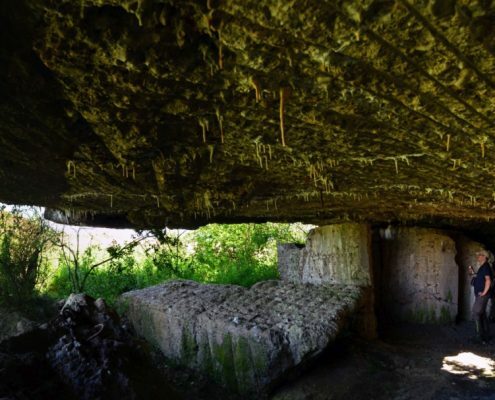 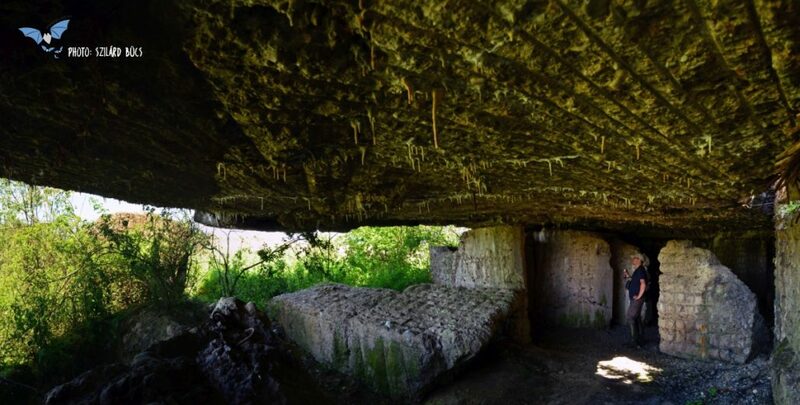 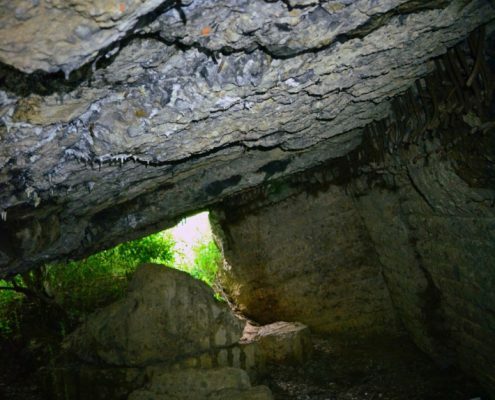 At present, the fortified line remains visible especially in the Oradea – Apateu area (Bihor county) and south of Seini (Maramures county), with bunkers remaining intact in 60-70%, and with underground levels adequate for bats. 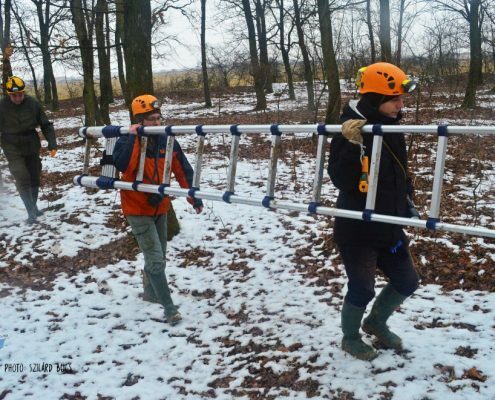 During 2016-2017, with funding obtained from EUROBATS, and the in-kind contribution of the Romanian Bat Protection Association, we implemented the project “The Carol line: assessing the importance of 150+ deserted bunkers for the conservation of the Romanian-Hungarian cross-border bat fauna”. 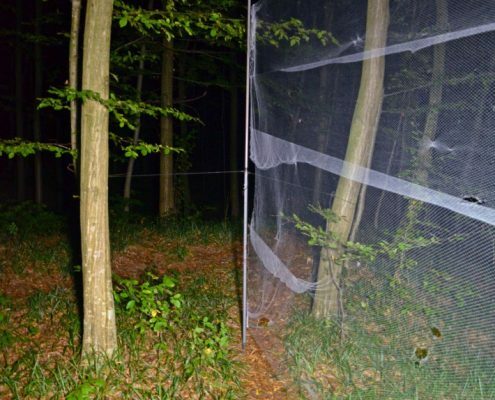 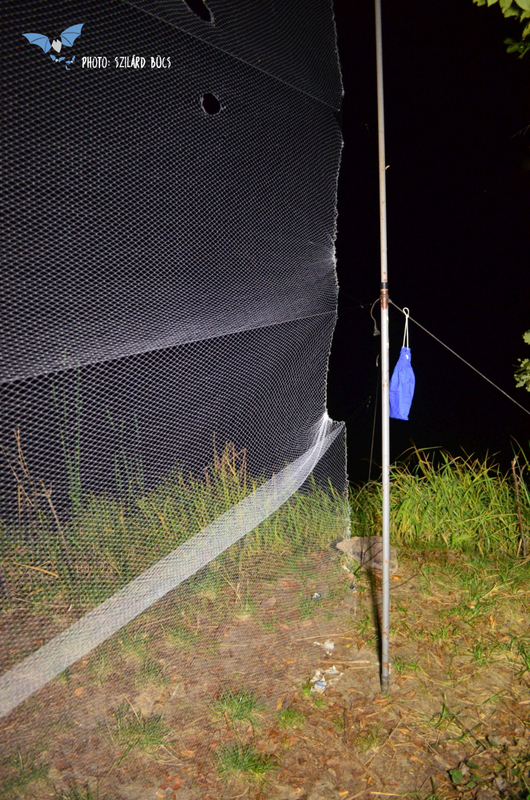 The project team, composed of Szilárd Bücs, Csaba Jére, István Csősz and Levente Barti, conducted the first survey of the fortifications of the Carol line and surrounding habitats, for the presence of bats. 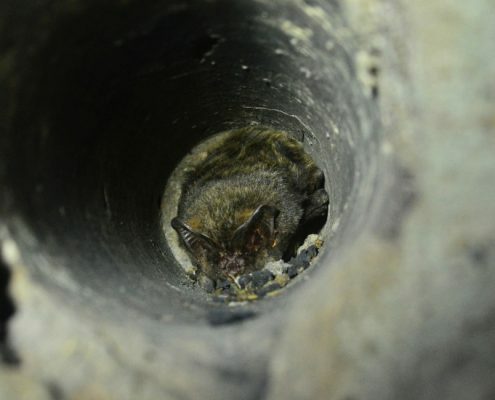 Because we already knew from the literature dealing with the fortified line (Mihályi 2010), that over 60% of bunkers are in an advanced state of degradation, we set this number, 150 bunkers out of 340 to be checked for the presence of bats. 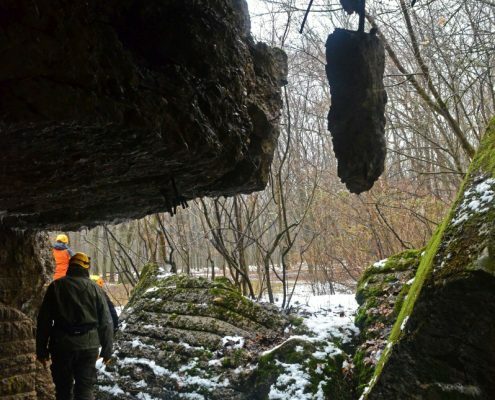 The cross-border aspect of the project lies in the fact that the connection between Hungarian and Romanian roosts used by bats, has been already demonstrated in 1997. 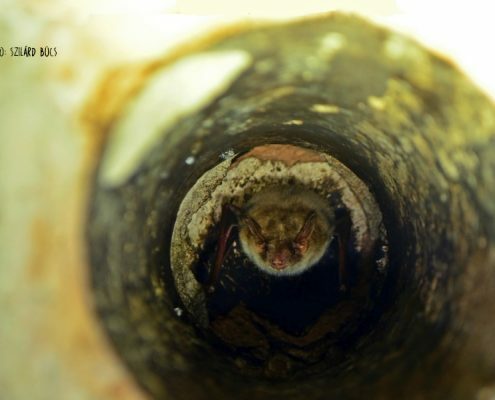 The study of Dobrosi & Gulyás (1997) proved that bats migrate between the hibernation roosts of Pădurea Craiului and Bihor Mountains, and the nursery roosts of Hungary. 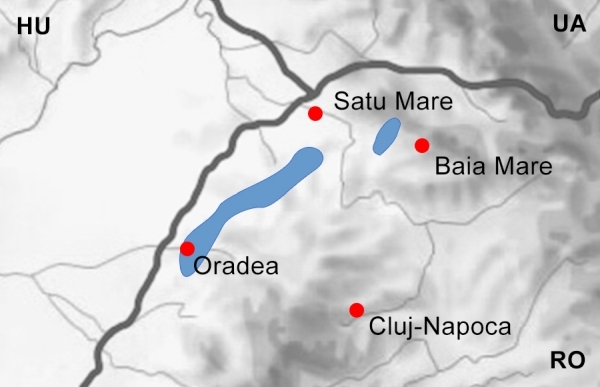 Thus, the bunkers of the Carol line may very well represent important stopovers on this migration route. 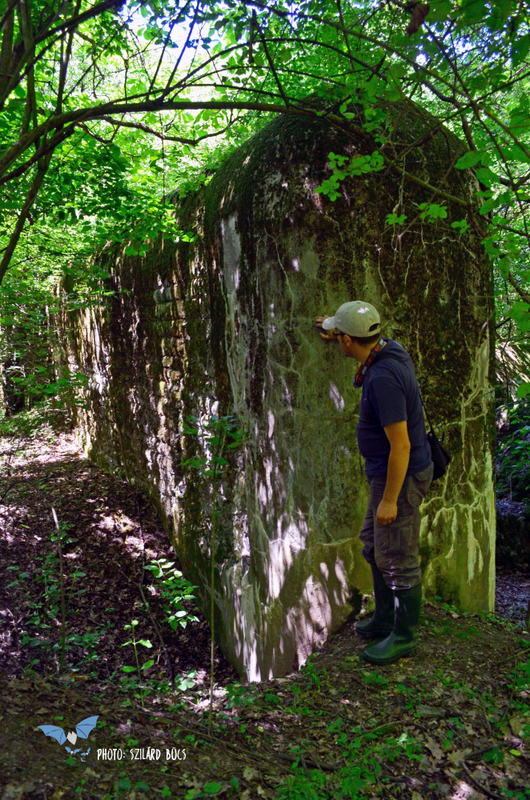 By periodically surveying the ruins of the fortified line, the project team assessed these in every major season of the life cycle of bats: in Summer (during the formation of nursery colonies), in Autumn (during swarming), in winter (during hibernation), and in spring (during migration). 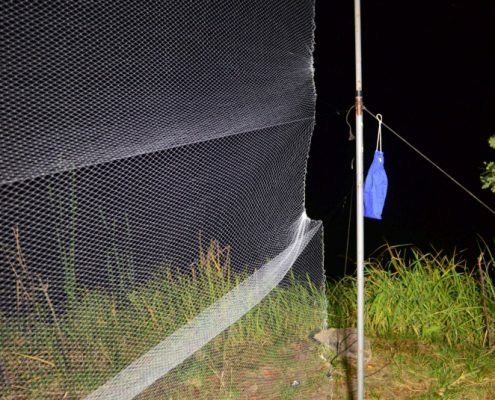 The methods used were standard for bat research, meaming visual inspections in summer and winter, and capturing with mist nets and recording ultrasounds in Spring and Autumn. 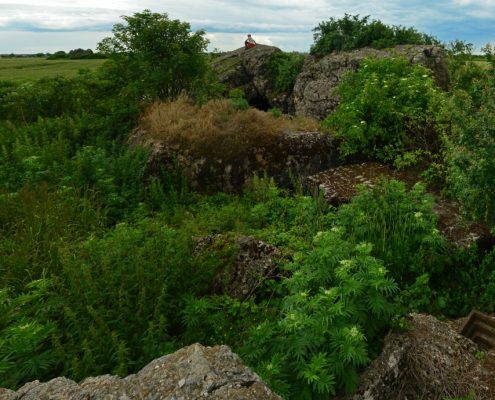 Unfortunately already in the Summer of 2016 we discovered that over 90% of Carol line bunkers are in a state of decay so advanced, that sometimes it was almost impossible to distinguish them from surrounding vegetation, or the natural unevenness of the landscape. 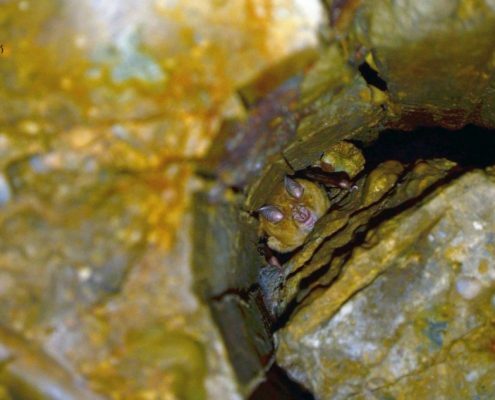 Out of the total of 340 bunkers, the project team identified less than 20 sites, which have the potential to seasonally accommodate bats. 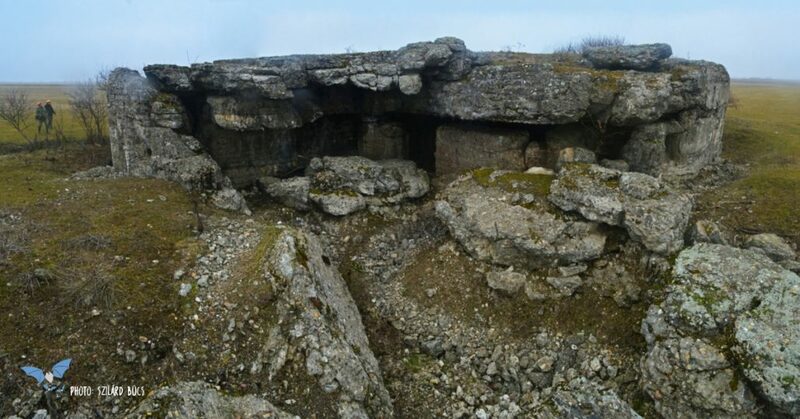 The surroundings of these sites, the areas around Seini (Maramureș county) and Nojorid (Bihor county) have in turn, a good bat activity. 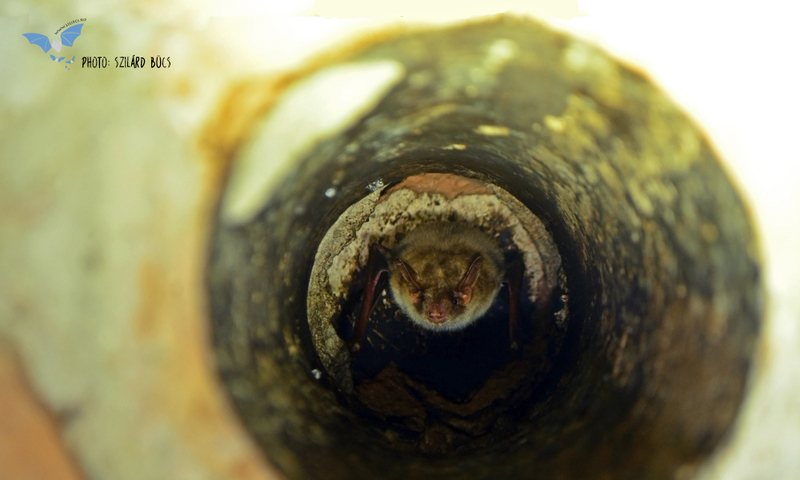 Even with so few bunkers suitable for bats, the project team identified a total of 12 bat species in the ruins of the fortified line and in adjacent habitats. 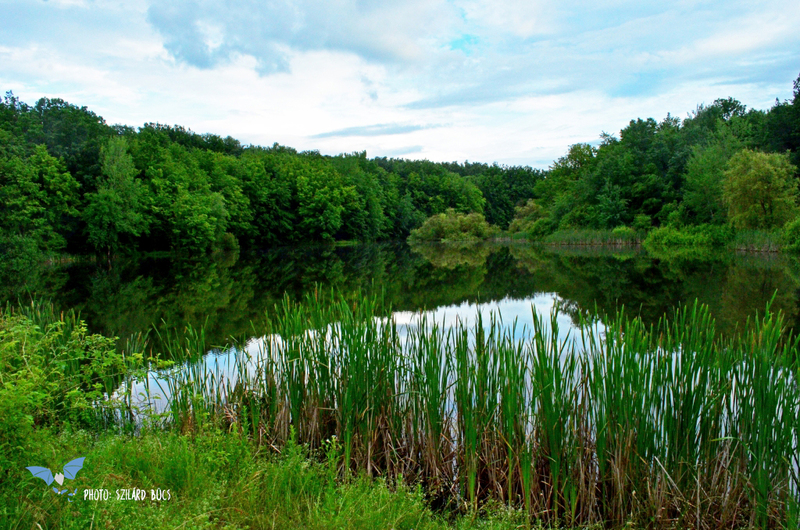 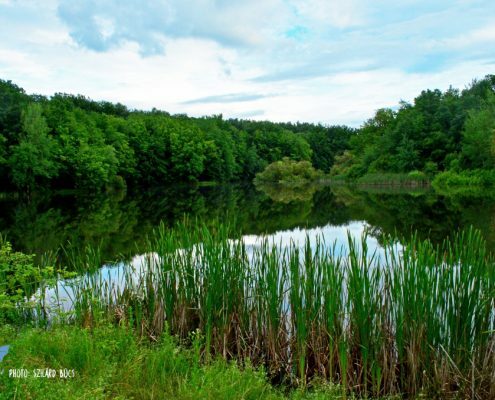 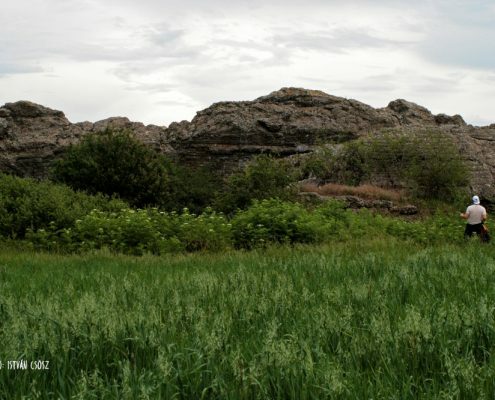 The northern area of the Carol line at Seini, with habitats consisting of deciduous forests and wetlands, is an excellent feeding grounds to a number of bat species. 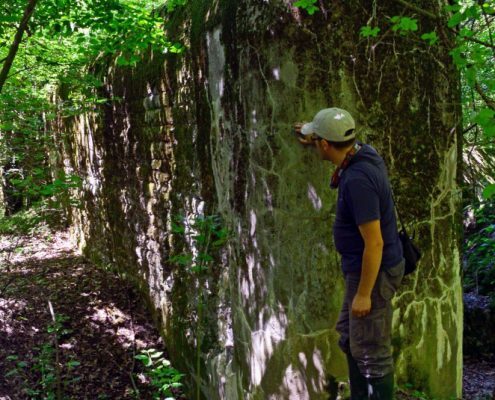 The Nojorid area includes the most intact bunkers of the Carol line, and so we were able to identify bats with direct, visual observations. 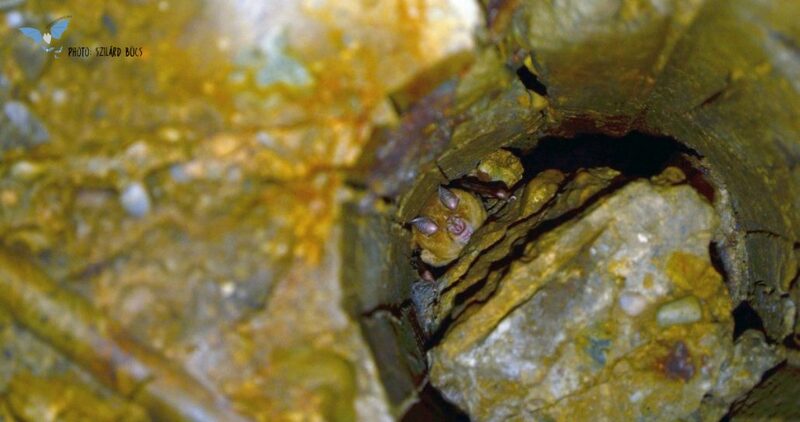 Among the bat species identified there are several strictly protected species, like for example the greater horseshoe bat (R. ferrumequinum) or the Barbastelle (B. barbastellus). 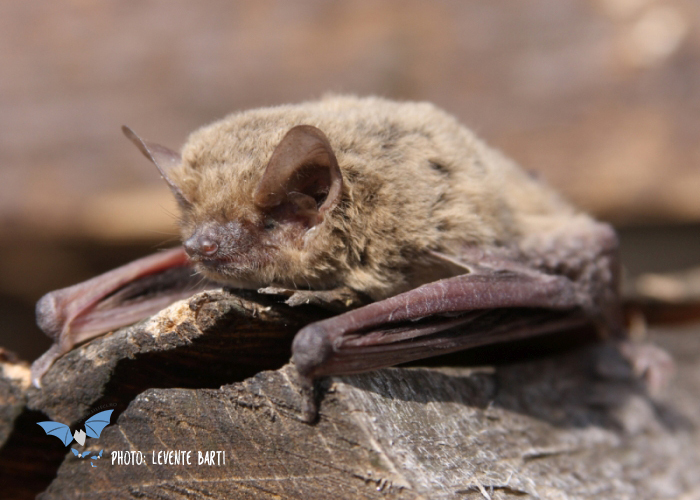 In addition, among the species present along the Carol line we identified also species that migrate over long distances, like the Nathusius’s pipistrelle (P. nathusii). 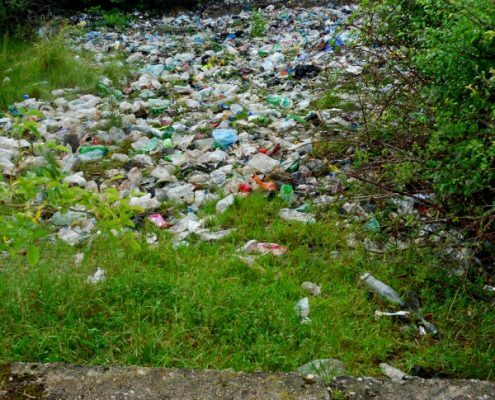 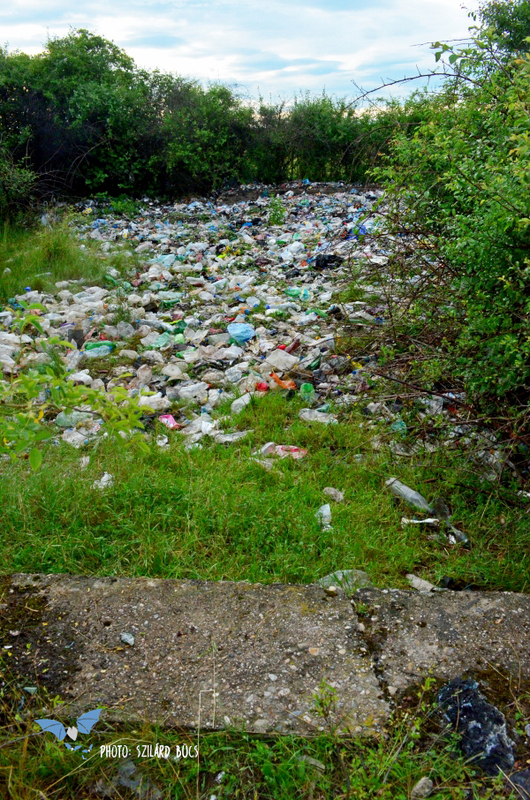 Unfortunately in many cases, especially in the northern part of the Carol line, we noticed that the pits and ruins, remaining after detonation, are used as illegal waste dumps. 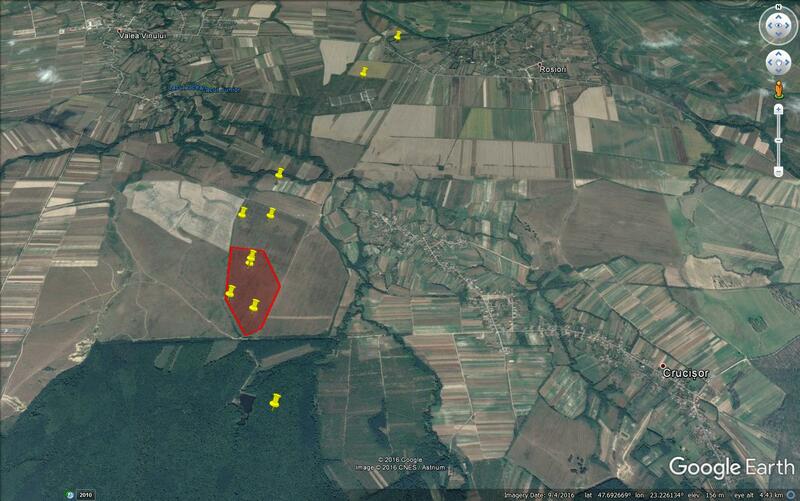 This Google Earth image provides the authorities with the location of the largest waste dumps (with red shape). 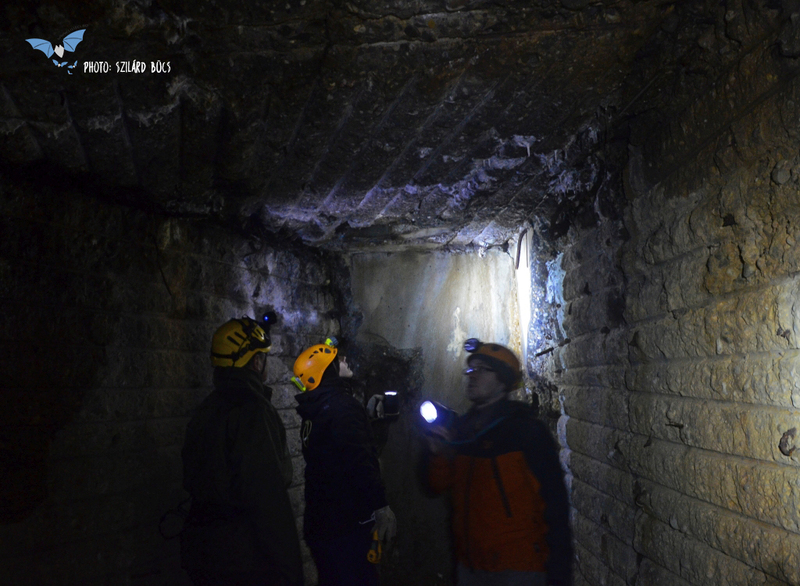 Similarly, in the Nojorid area we noticed a significant amount of garbage in the underground levels of bunkers. 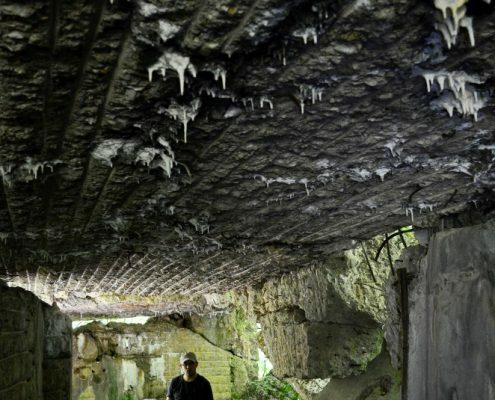 Note: Visiting the ruins can be dangerous, because there are elements that are semi-detached from the main structure, as a result of the detonations. 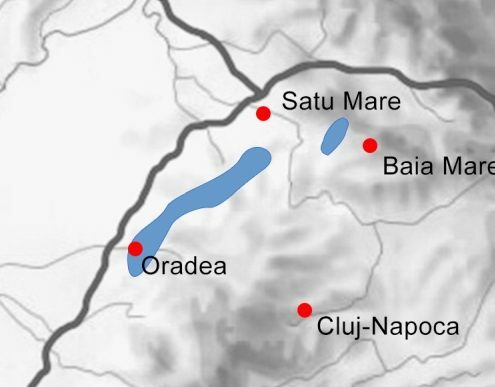 The nearest protected areas are the Natura 2000 site ROSCI0008 Betfia (10 km east of the Nojorid bunkers) and ROSCI0241 Tur River (15 km from the Seini bunkers). 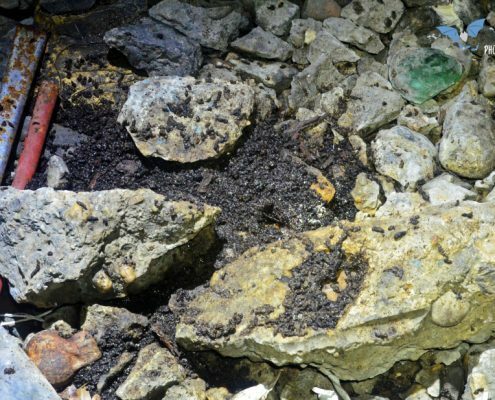 Regarding the protection of the Carol fortified line, from the point of view of bats, we can state that both the semi-intact bunkers and their surrounding habitats must be protected. 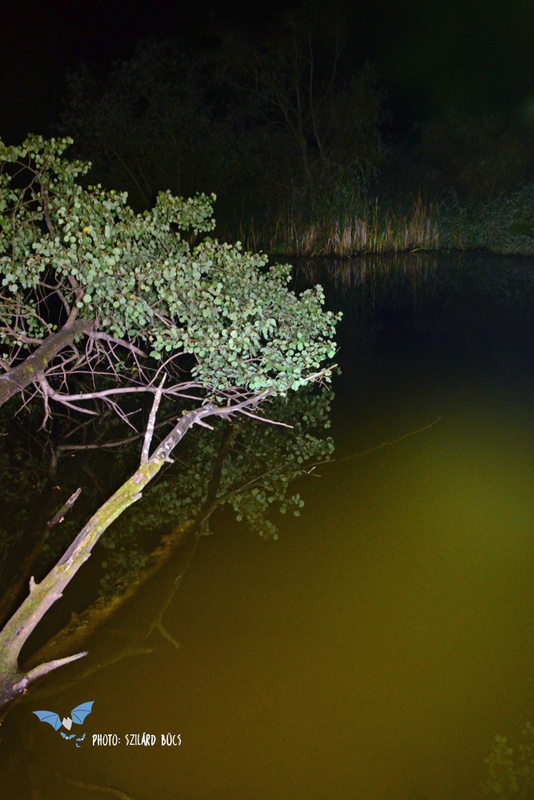 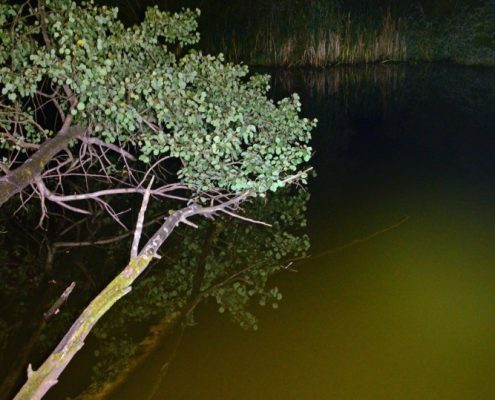 In particular, the deciduous forests near the Crucișor artificial lake are important feeding areas for several species of bats, although the age of the forest does not yet allow for the existence of hollow trees. 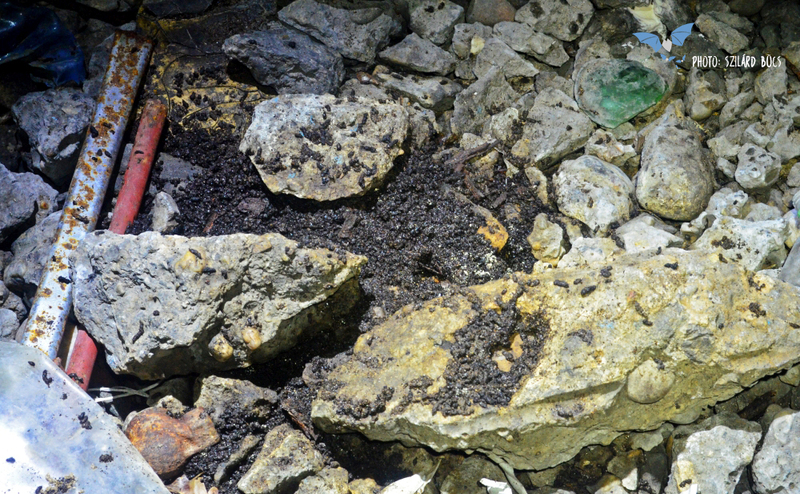 The bunkers themselves, especially in the southern section of the Carol line, at Nojorid, are temporarily used by small groups of bats, as confirmed by small piles of guano. 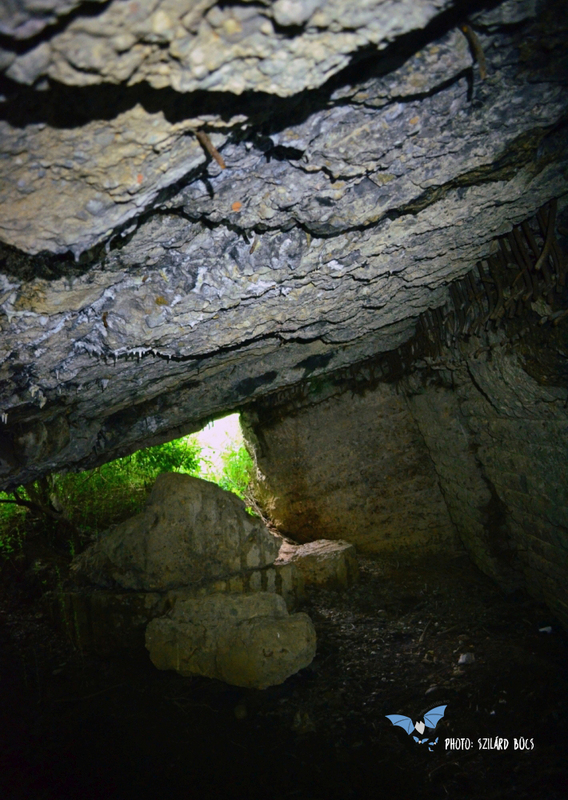 The protection of these ruins is locally important, and restoration works must take into account the possible presence of bats. 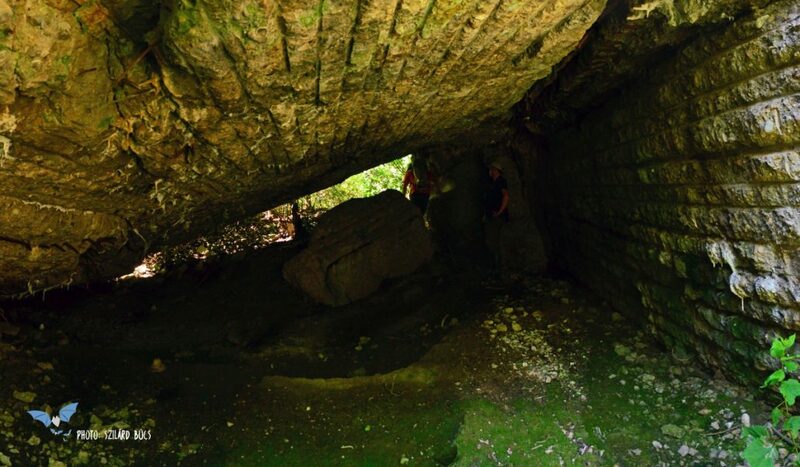 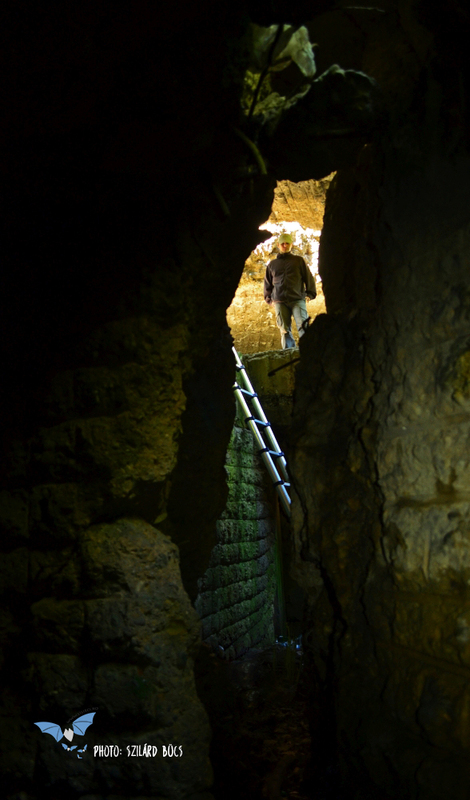 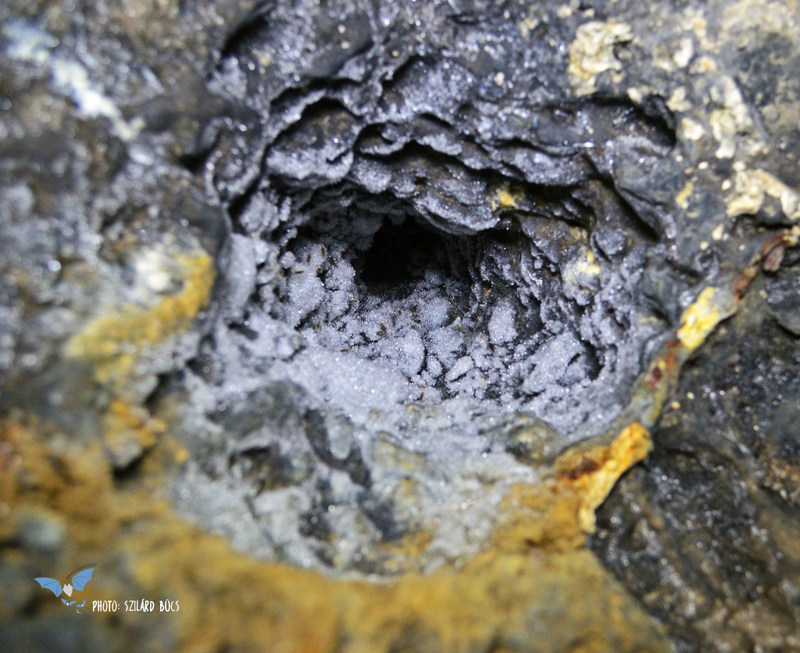 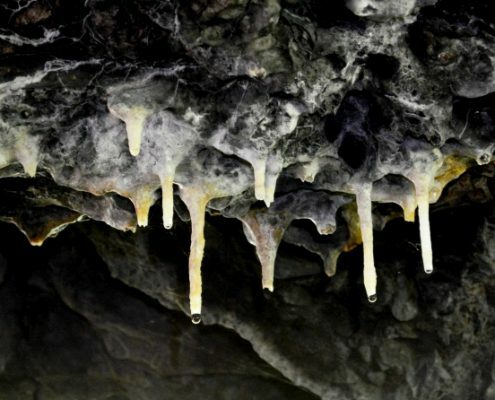 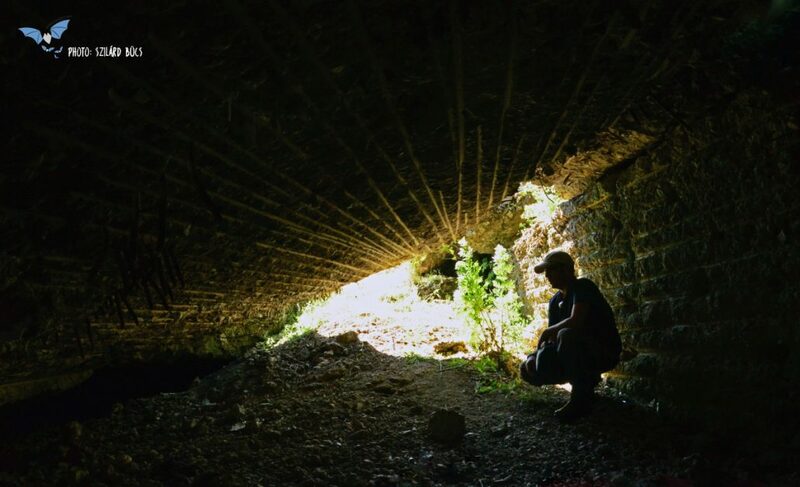 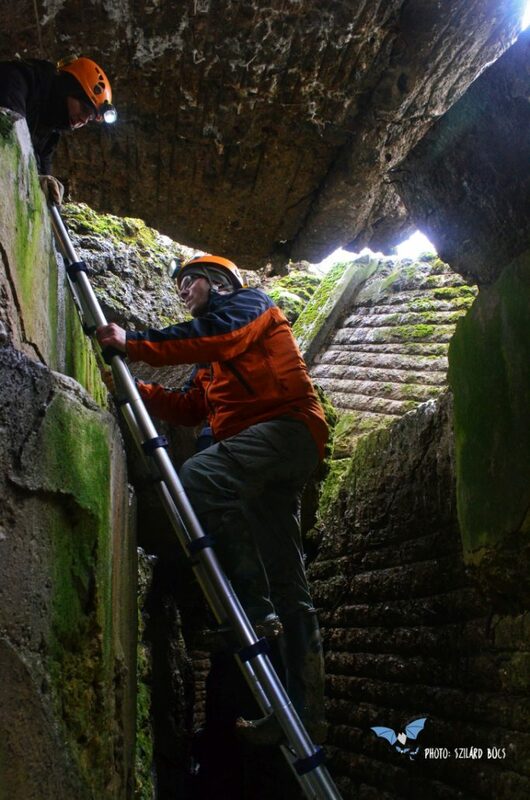 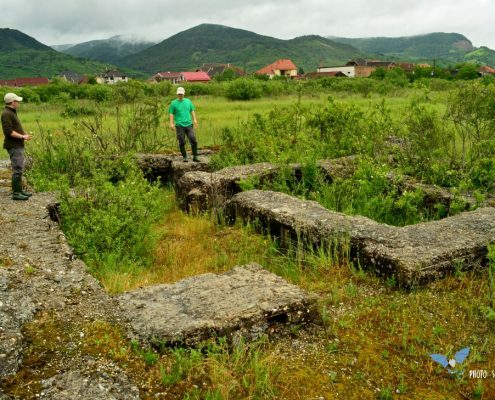 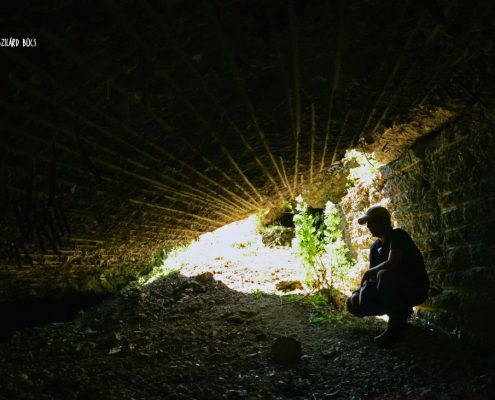 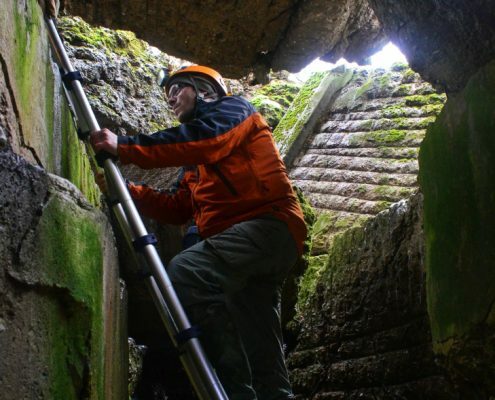 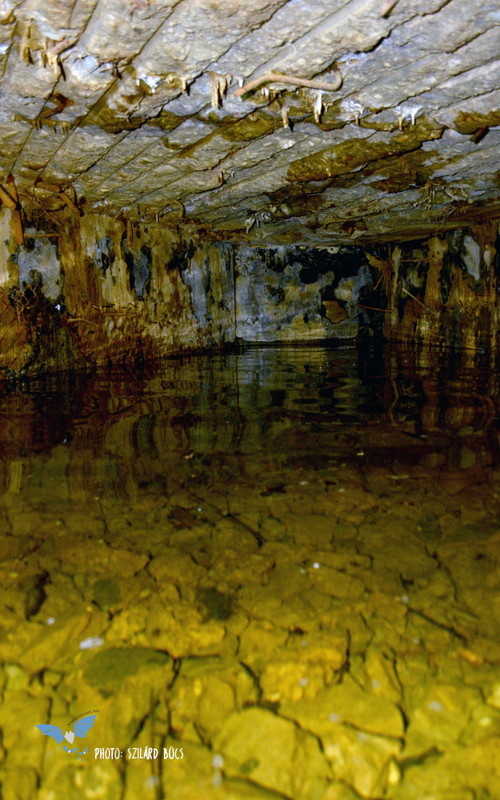 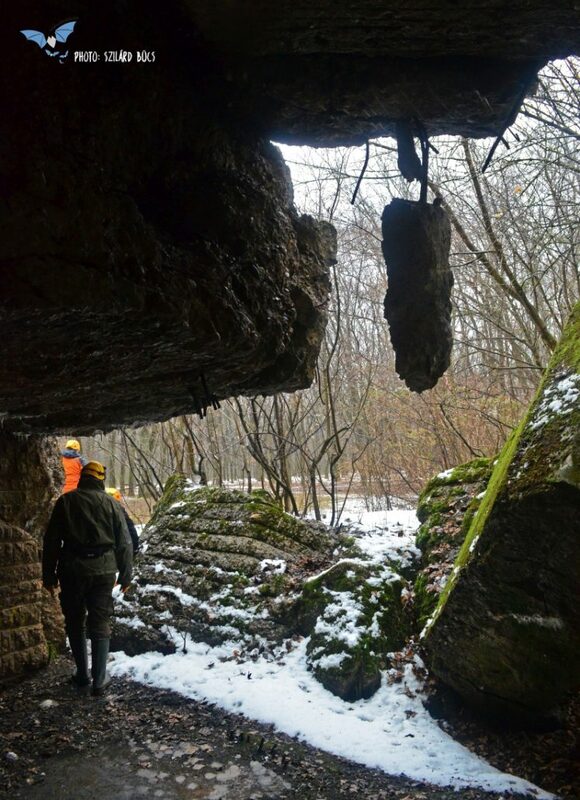 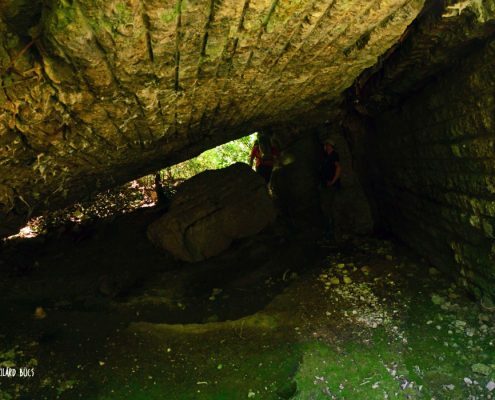 In addition to the project team, our colleague from Hungary, Dénes Dobrosi also participated in the field work of the project, he being the co-author of the study, which demonstrated the connection between caves of the Apuseni Mountains and anthropic roosts of Hungary. 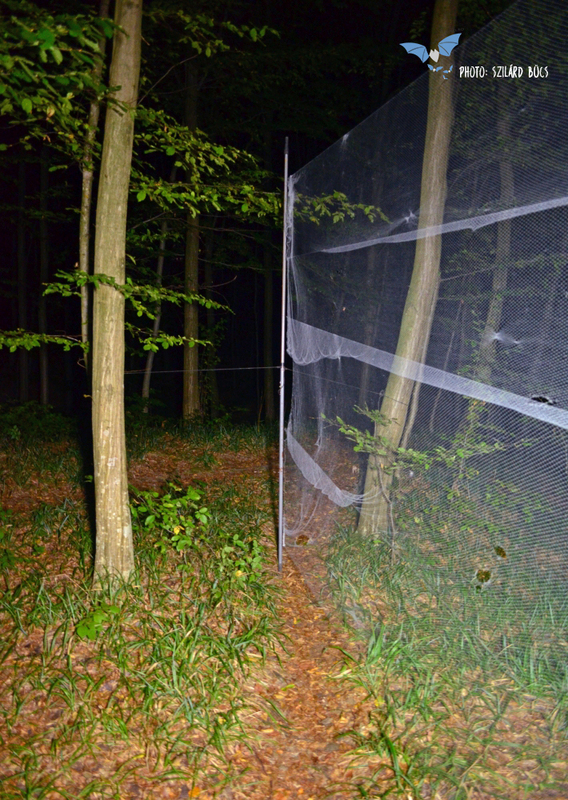 Detailed scientific results will be presented at conferences during 2017, after which we will presented it also here. 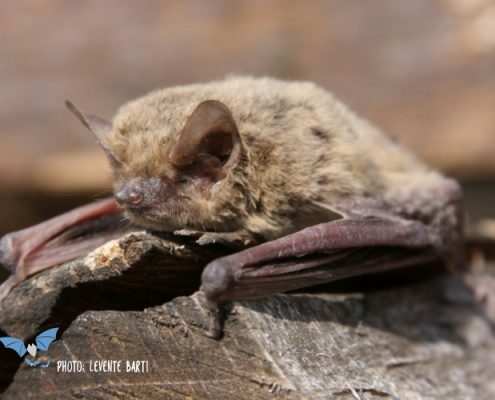 Until then we recommend to read our articles about the benefits of bats and responsible tourism. 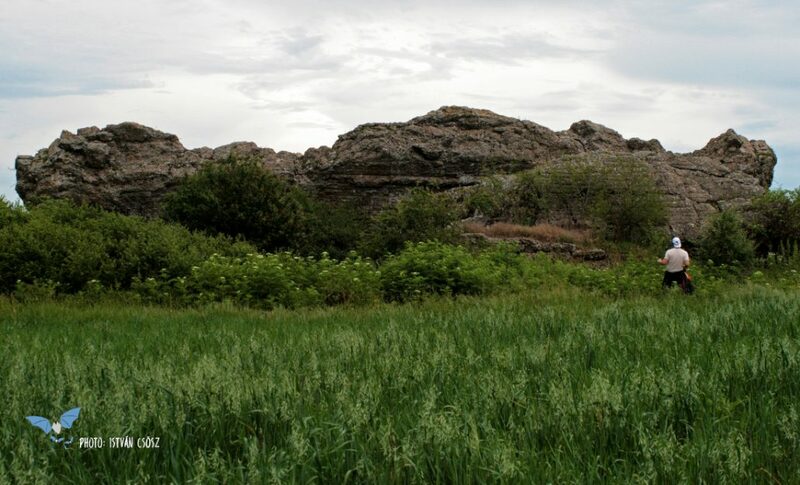 We obtained the historical information about the Carol line from the book of Mihályi (2010). 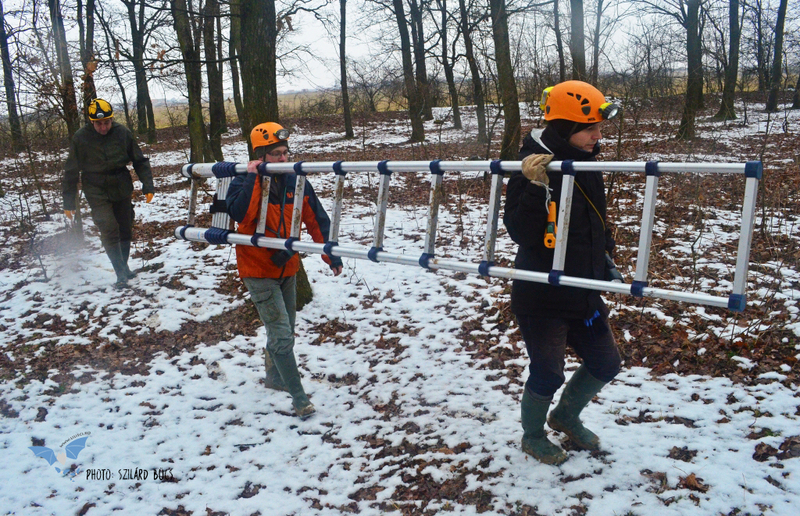 For other details, please contact the project coordinator, Szilárd Bücs (contact@lilieci.ro).